Bauerova-Hlinkova, V., Dvorsky, R., Perecko, D., Považanec, F., Sevcik, J. Structure of RNase Sa2 complexes with mononucleotides - new aspects of catalytic reaction and substrate recognition. Bernroitner, M., Zamocky, M., Furtmuller, P.G., Peschek, G.A., Obinger, C.
Occurence, phylogeny, structure, and function of catalases and peroxidases in cyanobacteria. Bertaova, G., Chebenova, V., Brezna, B., Pangallo, D., Valik, L., Kuchta, T.
Identification of lactic acid bacteria in Slovakian bryndza cheese. Bilikova, K., Mirgorodskaya, E., Bukovska, G., Gobom, J., Lehrach, H., Simuth, J. Towards functional proteomics of minority component of honeybee royal jelly: The effect of post-translational modifications on the antimicrobial activity of apalbumin2. Brnakova, Z., Godany, A., Timko, J. Characterization and disruption of exonuclease genes from Streptomyces aureofaciens B96 and S. coelicolor A3(2). D'Elia, D., Gisel, A., Eriksson, N.E., Kossida, S., Mattila, K., Klucar, L., Bongcam-Rudloff, E.
The 20th anniversary of EMBnet: 20 years of bioinformatics for the Life Sciences community. Amylolytic enzymes - focus on the alpha-amylases from archaea and plants. Lewis, C., Skovierova, H., Rowley, G., Rezuchova, B., Homerova, D., Stevenson, A., Spencer, J., Farn, J., Kormanec, J., Roberts, M.
Salmonella enterica Serovar Typhimurium HtrA: regulation of expression and role of the chaperone and protease activities during infection. Martinez, L.F., Bishop, A., Parkes, L., Del Sol, R., Salerno, P., Sevcikova, B., Mazurakova, V., Kormanec, J., Dyson, P.
Osmoregulation in Streptomyces coelicolor: modulation of SigB activity by OsaC. 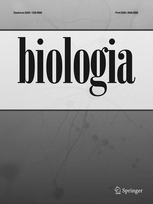 Pangallo, D., Chovanova, K., Drahovska, H., De Leo, F., Urzí, C.
Application of fluorescence internal transcribed spacer-PCR (f-ITS) for the cluster analysis of bacteria isolated from air and deteriorated fresco surfaces. Pangallo, D., Chovanova, K., Simonovicova, A., Ferianc, P.
Investigation of microbial community isolated from indoor artworks and air environment: identification, biodegradative abilities, and DNA typing. Rezuchova, B., Skovierova, H., Homerova, D., Roberts, M., Kormanec, J. A mutant of Salmonella enterica serovar Typhimurium RNA polymerase extracytoplasmic stress response sigma factor SigE with altered promoter specificity. Schulthess, B., Meier, S., Homerova, D., Goerke, C., Wolz, C., Kormanec, J., Berger-Bachi, B., Bischoff, M.
Functional characterization of the SigB-dependent yabJ-spoVG operon in Staphylococcus aureus: role in methycillin and glycopeptide resistance. Sevcik, J., Skrabana, R., Kontsekova, E., Novak, M.
Structure solution of misfolded conformations adopted by intrinsically disordered Alzheimer's tau protein. Sirajuddin, M., Farkasovsky, M., Zent, E., Wittinghofer, A.
GTP-induced conformational changes in septins and implications for function. Trncikova, T., Hruskova, V., Oravcova, K., Pangallo, D., Kaclikova, E.
Rapid and Sensitive Detection of Staphylococcus aureus in Food Using Selective Enrichment and Real-Time PCR Targeting a New Gene Marker. Vidova, B., Chotar, M., Timko, J., Godany, A.
Multiplex PCR method for detection of variability in genes encoding the alpha proteins of Streptococcus agalactiae. Vidova, B., Chotar, M., Godany, A.
N-terminal anchor in surface immunogenic protein of Streptococcus agalactiae and its influence on immunity elicitation. Zamocky, M., Furtmuller, P.G., Bellei, M., Battistuzzi, G., Stadlmann, J., Vlasits, J., Obinger, C.
Intracellular catalase/peroxidase from the phytopathogenic rice blast fungus Magnaporthe grisea: expression analysis and biochemical characterization of the recombinant protein. Zamocky, M., Furtmuller, P.G., Obinger, C.
Two distinct groups of fungal catalase/peroxidases.